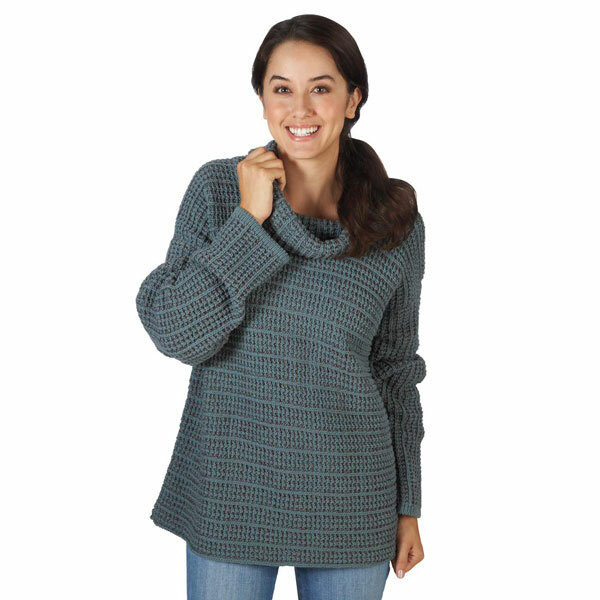 The deep texture of this sweater's waffle weave gives it a handcrafted feel, while the thick-yet-light yarn and fashionable cut make it a go-to for any day of the week. Drop shoulders with extended-length sleeves and generous flt are right on trend; marled color deepens the texture. 90% cotton/10% acrylic. Sizes S(6-8), M(8-10), L(10-12), XL(12-14), 1X(18-20), 2X(20-22), 3X(22-24); M hangs 27". Machine wash. Made in USA.